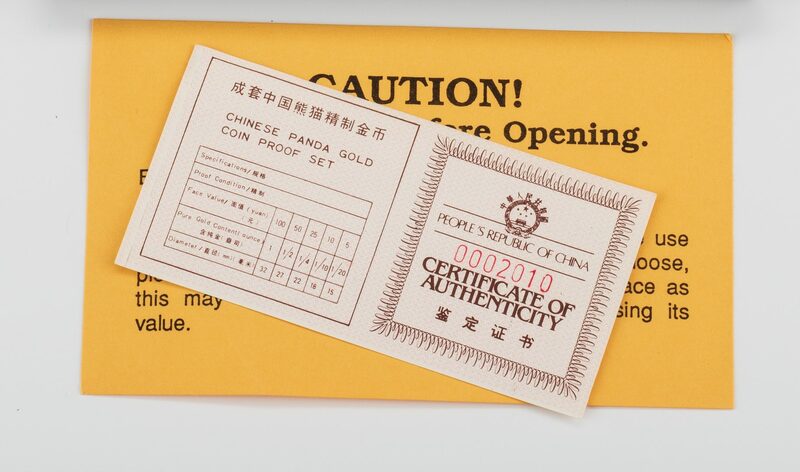 5 coins in box: 1986 China 5-Coin Gold Panda Proof Set with box and Certificate of Authenticity, total of 1.9 oz troy of .999 fine gold. Set contains coins of 1 oz, 1/2 oz, 1/4 oz, 1/10 oz and 1/20 oz. Mintage of 10,000 sets. 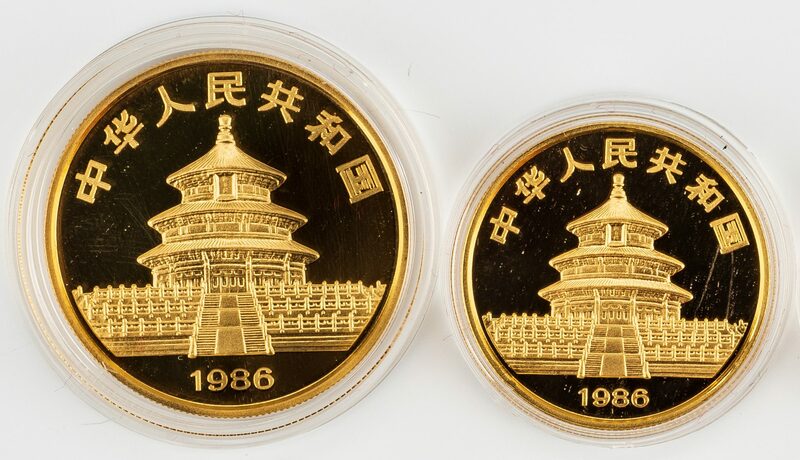 Obverse depicts the Hall for Abundant Harvests in the Temple of Heaven in Beijing, encircled by the phrase "People's Republic of China" in Chinese closed off by the year of issue. The reverse is a panda walking through bamboo. Guaranteed by the People's Bank of China. Certificate of Authenticity number 0002010. Box – 20 mm H x 145 mm W x 110 mm D. Provenance: The estate of Martha Goldsmith, Clarksville, TN. CONDITION: Coins in uncirculated condition. Minor scuffs on exterior of box.